Docker powered mini-Heroku. The smallest PaaS implementation you’ve ever seen. We have a microsite made with wordpress which we wanted to move inside dokku. The first thing you need is to install duplicator in your original website, create a package and build it, download the installer.php and the zip file. then you'll have a vanilla wordpress deployed in dokku. use that values for the DB configuration step and continue with the setup. done! you should have cloned successfully your wordpress site into dokku. XMLHttpRequest cannot load http://localhost:8080/equinox/catalogos/distritos. No ‘Access-Control-Allow-Origin’ header is present on the requested resource. Origin http://localhost:8100 is therefore not allowed access. El servidor se está ejecutando mediante mvn jetty:run (localhost:8080) mientras que el cliente está ejecutandose mediante grunt serve (localhost:8100). Siendo dominios diferentes, el navegador bloquea la invocación del servicio por cuestiones de seguridad. La solución es permitir el acceso CORS. El servicio web esta hecho con Spring, así que para permitir esto necesitamos crear y configurar un filtro. I have a Java application configured with Maven. I have all my model and web services in this application (backend). 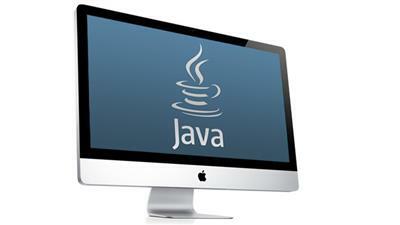 In a Java app normally you would have your web client code in src/main/webapp (frontend). I scaffold-ed the client application with yeoman, so it uses grunt to build and bower to manage dependencies. Great! well, not so much, it runs perfectly in my local environment (I can run bower install, then grunt build and it would generate a “dist” folder with all my sources compiled and minified) but it doesn’t work on heroku’s platform. The problem is heroku detects my app only as Java application so it doesn’t run bower install nor grunt build. I tried to use heroku-buildpack-multi with some issues, I even created my own patched version that allows to specify a base path for each buildpack. With that I can push to heroku and it runs mvn package and then npm install for the node buildpack. I’ve added a postinstall script to run both bower install and grunt build, which in turn you need to add as dependencies in your package.json. "postinstall": "./node_modules/bower/bin/bower install &amp;&amp; ./node_modules/grunt-cli/bin/grunt build"
It effectively run bower install and then grunt build, but it failed because my scaffold-ed client uses compass which in turn requires ruby, arrrgh! This is where I stopped looking into this path, I’ve decided to build on my local computer and include the “dist” folder on source control (against all my principles), as suggested by various websites, for now. Crear un formulario de contacto para un sitio web es algo sencillo, ¿cierto? Sólo necesitamos un servicio responsable de enviar el correo y un formulario para que el usuario llene los campos y envíe el mensaje. La pregunta es ¿cómo hacerlo mediante ajax (utilizando jQuery)? Por supuesto este servicio no es muy seguro y es susceptible a la inyección de código. Una implementación mucho más segura es la de jemjabella que con un poco de modificaciones podemos transformar en un servicio. La idea es que este servicio nos regrese una respuesta en formato JSON que nos indique el status del envío del mensaje. Este servicio será invocado desde el cliente mediante jQuery. <input type="text" class="form-control" id="nombre" name="nombre"
<input type="text" class="form-control" id="correo" name="correo"
<input type="text" class="form-control" id="asunto" name="asunto"
<textarea class="form-control" rows="4" id="mensaje" name="mensaje"
Es importante llamar el método e.preventDefault para evitar propagar el evento ‘submit’ del formulario y que el navegador recargue la página. Obviamente debemos reemplazar el método ‘alert’ por algún elemento(img, label, alert, glyphicon, etc) que se muestre u oculte de acuerdo al status del envío.